Welcome to Party Bounce House Rentals - Providng Bounce House Rentals And Water Slide Rentals In Sacramento And Other Surrounding Areas! 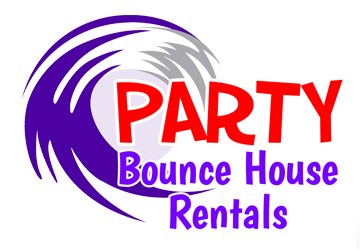 Party Bounce House Rentals is a locally owned and operated party rental company located in Elk Grove, California. We are proud to deliver the newest, cleanest, and overall highest quality bounce houses and water slides to Elk Grove, Sacramento, Citrus Heights, Folsom, Roseville, and other surrounding areas. We have several years of experience in the party rental industry, and know what it takes to make your party a success. 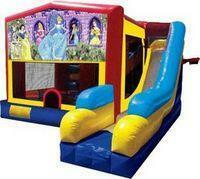 We have a large selection of officially licensed Disney bounce house rentals to choose from. 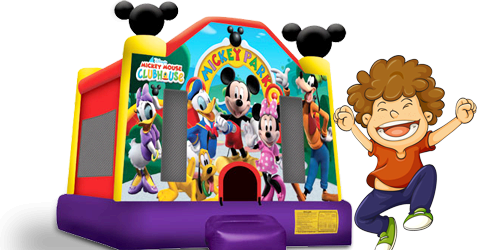 From Disney Princess bounce houses for rent to Spiderman bounce houses for rent, we have the selection you're looking for. We want to make sure that your day is special for both you and your guests. We look forward to serving you and showing you the Party Bounce House Rentals difference!